Thank you for the feedback from yesterday's post. I plan to make "Let's Discuss" a bi-monthly series and look forward to diving into more thought provoking topics with all of you. As much as I love to write about fitness and fashion, I do like digging deeper and learning along the way. Let me know if you have a topic you would like to see here. As for the weekend, camping was originally on the agenda. However, more rain (will it ever end?) has postponed my s'mores making. I have now filled my schedule with crossfit, rose drinking, a much needed hair appointment, and lots of home time. I can't wait! 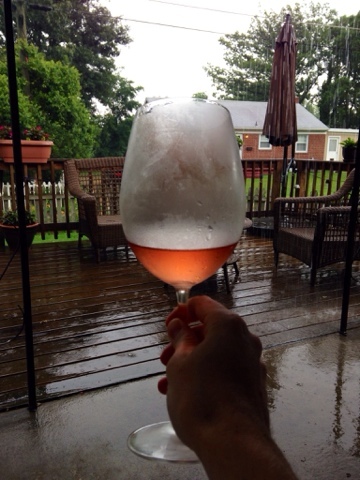 Drinking rose while watching the rain. This will again be appearing on the docket for the weekend. Snuck in some pool time and magazine reading during a few hours of rare sunshine. 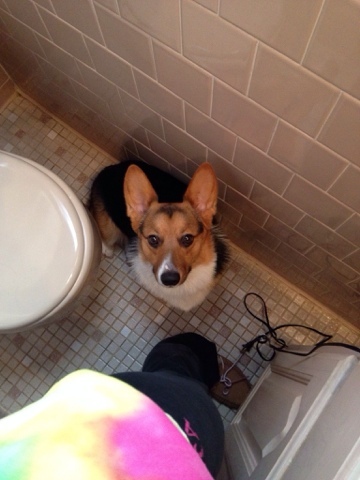 This is the scene every morning: Walter sits right by me while I fix my hair and makeup. I love my getting ready buddy. Oh! 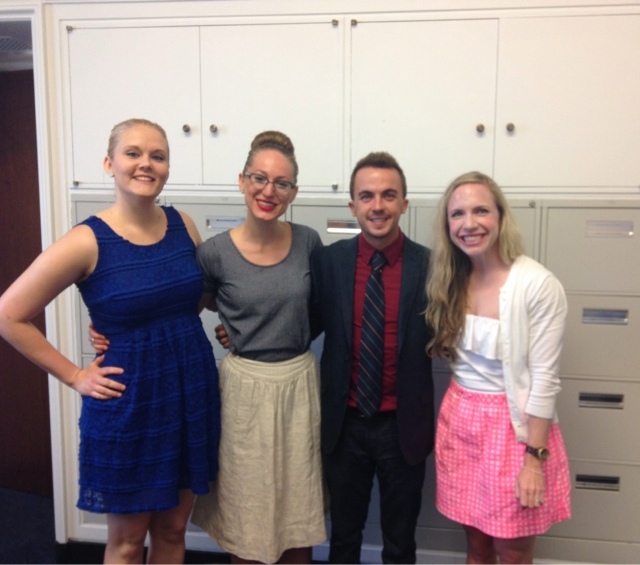 Did I mention I met Frankie Muniz? He was so nice!